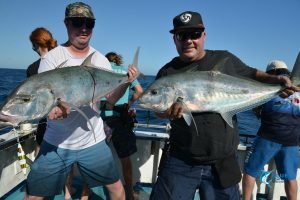 This week’s trip to the Montebello Islands included a crew of individuals from WA and NSW as well as a couple of the crew from one of our favourite fishing stores Compleat Angler Nedlands. The crew headed out for an epic 7 day Montebello Islands fishing charter with hopes of catching plenty of personal bests and bucket list species. The challenge was on! We got off to a little later start on day 1 after waiting for the last guy to fly in after having flight problems the day before. With everyone excited to finally make their way to the islands to get fishing we left the marina and headed towards the Montebello Islands. A few hours into the trip we arrived at our first designated fishing stops. 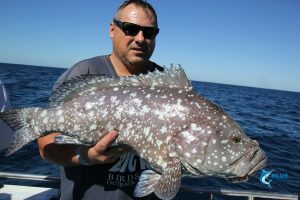 The first drop of the day produced a personal best Coral Trout for Tim and Gary’s first Coral Trout a stonker! 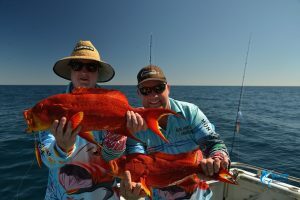 We hit up a few different spots along our journey to the Monties with the crew enjoying catching an array of species including plenty of Coral Trout, Red Emperor, Rankin Cod and a few other species. It was time call it a day and head into the islands for the first time this charter. To really kickstart day 3 we put the skirts out on the way to the fishing grounds. We were all stoked when a Black Marlin hit one of the skirts but unfortunately it didn’t hook up. We started the morning with a bit of bottom fishing. 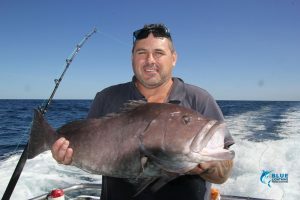 The session resulted in Rankin Cod and a few other species however after a few bite offs the call was made to switch to hard body lures and try for some Mackie’s. Out went the trolling lures with some of the guys casting stick baits for good measure. Within seconds we had out first hook ups, this was top water fishing action at its best, once again. The Mackerel were providing a spectacular aerobatic show and we were loving every second of it. One Mackerel decided he didn’t even need to be hooked to be caught almost jumping into the boat. After lots of Mackie’s were caught and with the sharks moving in, we decided to try our luck with some bottom fishing again. 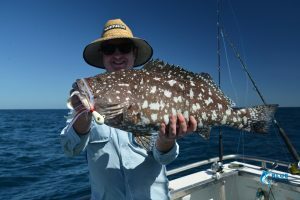 This bottom session was productive with the crew reeling in Rankin cod, Spangled Emperor, Long Nose Emperor, Crimson Sea Perch and a couple of other fun northern WA species. On the way back into the islands the crew were in awe as we watched whales breach before we spotted a jumping Sailfish. These islands are something special and this crew were seeing just why. After returning to the islands for the afternoon the boys went for a shore fish to try and tempt some GT’s. Unfortunately they were unsuccessful with the GT but they were lucky to enjoy some amazing views. 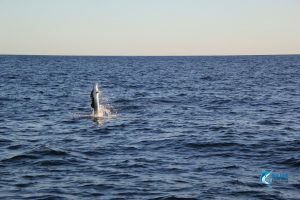 It was an early rise for some and those who were awake watched as Dolphins chased Garfish around the back of the boat, it was simply amazing to see. Today the crew had decided they wanted to chase billfish. Trolling our way out resulted in hooking our first Sailfish for the day. Waking everyone up was Garry who caught his first ever Sailfish, he was absolutely ecstatic to catch one of these amazing fish, and we were ecstatic to be a part of it. As we reached the fishing grounds Captain Chad gave everyone the talk on how everything runs. The teasers were put in and the wait began. We didn’t have to wait long with 3 Sailfish raised and one switch baited. 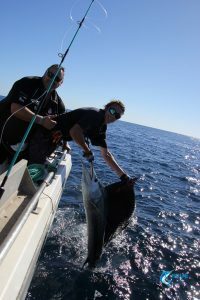 Jack was on fighting his first ever Sailfish, successfully catching and releasing it with a massive smile on his face. 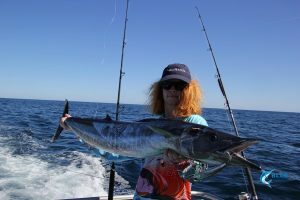 Next up were some Wahoo which came up in the teasers with Tim and Chris hooking them on stick baits. Tim caught his first ever Wahoo but Chris unfortunately dropped his near the boat. Captain Chad made the call to hit some bottom spots and wait for the Sailfish to come to the surface after seeing them on the sounder down deep. It was a fun bottom fishing session with the guys catching Rankin Cod, Long Nose Emperor, Spangled Emperor, Coronation Trout and a few other species on jigs, plastics and baits. 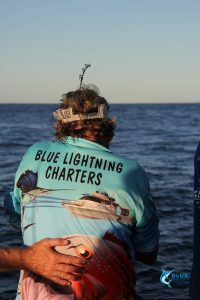 After spending time bottom fishing it was back onto the billfish, the teasers went out and the wait began again. Captain Chad yelled, “stick baits” after seeing Wahoo and Mackie’s. 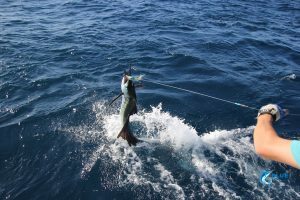 Chris hooked up on stick bait only to see a Sailfish jump into the air. After a 20-minute fight on light gear Chris had caught his Sailfish on a Stick Bait. The teasers went back out. After a bit of a wait a Sailfish was raised and successfully switch baited. Tom was on, battling his Sailfish. After a short fight he had his Sailfish boat side and for a quick photo before it was released. 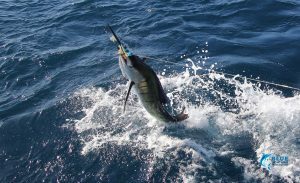 The teasers went back in and after a short wait 2 Sailfish were raised and both were successfully switch baited in a double hook up for Dudley and Barry. 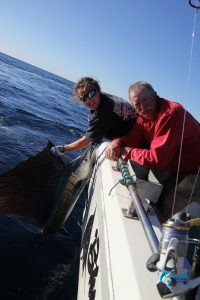 They were both fighting their first ever Sailfish unfortunately Barry dropped his but Dudley succeed in catching his first Sailfish. To say he was stoked would be an understatement, the excitement was contagious and Chad, Sam and I were stoked to be part of such an awesome fishing milestone. 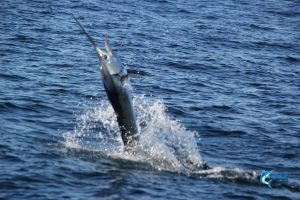 The teasers went back in and we didn’t have to wait long before another Sailfish was raised and switch baited. Barry was on again fighting another Sailfish, this time he was successful in catching and releasing his first ever Sailfish. As the sun was setting and we were almost out of sunlight it was time to call it a day and head back toward the Montebello Islands. We finished the day with 7 Sailfish, with most of the crew managing to land their first Sailfish. After a big day the day before the crew needed a rest in meaning a later start. The crew decided to fish on and around the islands in two teams. The first team fishing on the islands and the other fishing off Heartstarter, with a switch at lunch. 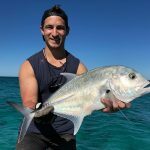 The guys on Heartstarter had lots of fun casting lures around the inshore reefs producing some big Queen fish, Coral Trout, Spangled Emperor, Gold Spot Trevally and a Spanish Mackerel. 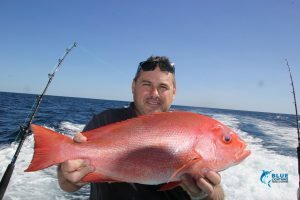 While the guys on the shore got stuck into some Gold Spot Trevally, Queen fish, Coral Trout, Spangled Emperor and Squid. After a hot session for both the guys on Heartstarter and the guys on the shore it was time to head in for lunch and switch. The guys on Heartstarter got into some Gold Spot Trevally, Coral Trout, Shark Mackerel as well as Decky Sam catching a 15kg Spanish Mackerel. 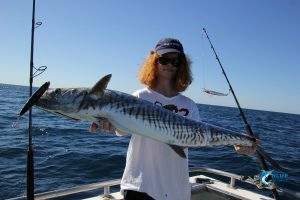 Meanwhile the crew on shore were having fun catching lots of Queen fish as well as Spangled Emperor, Mackerel, a small GT and a squid on a stick bait. 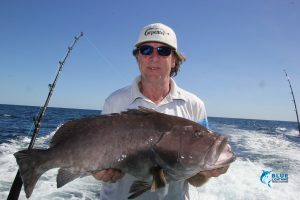 It was another awesome day of fishing at the Montebello Islands. 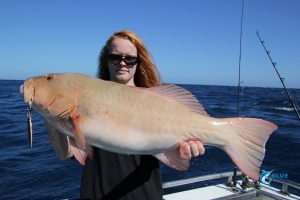 Day 6 was upon us and the crew decided to head down into the shallows to do some trolling for Mackerel and Coral trout. On the way down we stopped for a bottom fishing session with plastics, jigs and baits. 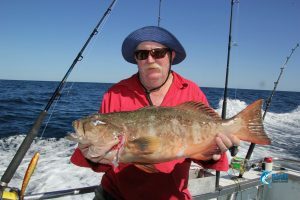 This session resulted in Tom and Chris both catching good sized Golden Trevally and Brett catching his personal best Coral Trout on plastics and a few other species being caught. The lures went in the water and it was time to do some trolling to try and tempt some Coral Trout. 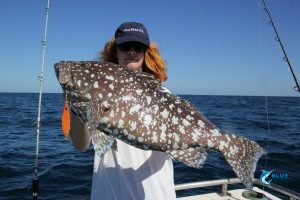 The lures resulted in a few Mackerel being caught as well as some nice sized Coral Trout to really make the crew smile. 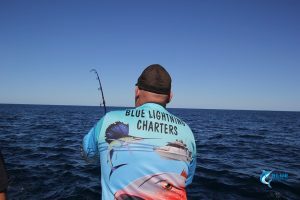 Next up it was back to bottom fishing with Dudley catching a nice sized Chinaman and the rest of the crew reeling in some other great Northern WA fish species. With the wind picking up it was time to head back into the safety and beauty of the Montebello Islands for a good night’s rest. As we wake up to last day of charter, reminiscing on the weeks fishing. It’s a sad time to leave the Montebello Islands. 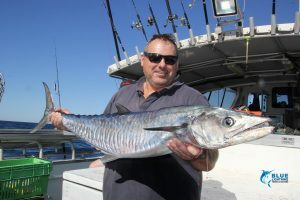 On the way back to Dampier, there was lots of fun with the crew catching Spanish Mackerel and Tuna to make the most of every moment fishing in this amazing part of the world. 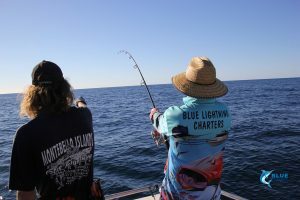 We even took time to stop for a plastic and jig session which produced Cobia and Rankin Cod to top off a great 7 day Montebello Islands charter. This charter was a week of many firsts and personal bests, it’s charters like this which Chad and I love to see and be a part of. I don’t think this crew will be forgetting the incredible Montebello Islands anytime soon and we certainly hope to be welcoming them back on board Blue Lightning Charters next year.